June 2016, Monteverde, Costa Rica. Taken on a disposable camera, this turned out to be one of the best shots that we got during the trip through Costa Rica. Monteverde, the "cloud forest," was best experienced at elevation. 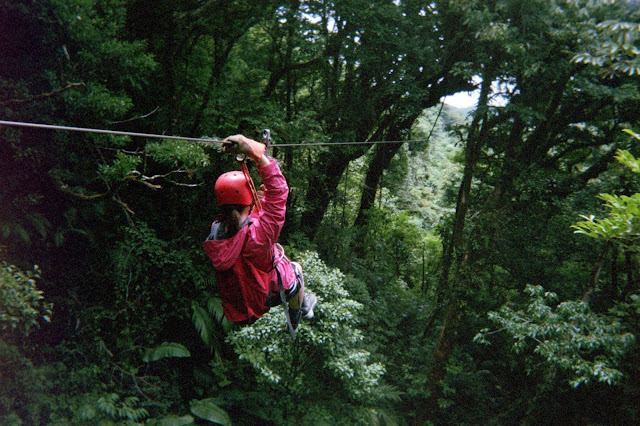 It really did feel like you were zipping through the trees a la Tarzan and Jane.